Aww, yay! 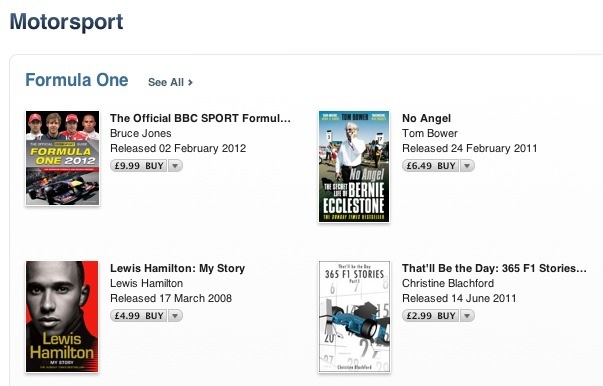 iTunes are featuring a number of Formula 1 books to coincide with the British Grand Prix and have included Christine's first book 365 F1 Stories. Now we just have to point them in the direction of Between the Lines for their Motorsport Writing section.